In my spare time after working on my full-time projects, I have been doing my due diligence to study and work on my herbal apothecary. While molding together the framework of what my herbal apothecary would look for both myself and those who I would like to create for and heal, I highly considered beauty and self care remedies. Herbal self care rituals like fragrant baths infused with herbs encourage whole body wellness and nourish the spirit. Not only are baths great for pampering, baths are also therapeutic and promote overall wellness. Herbs, flowers, and oils have been used as therapy in baths to relax the mind, soothe sore muscles, and promote softer skin. 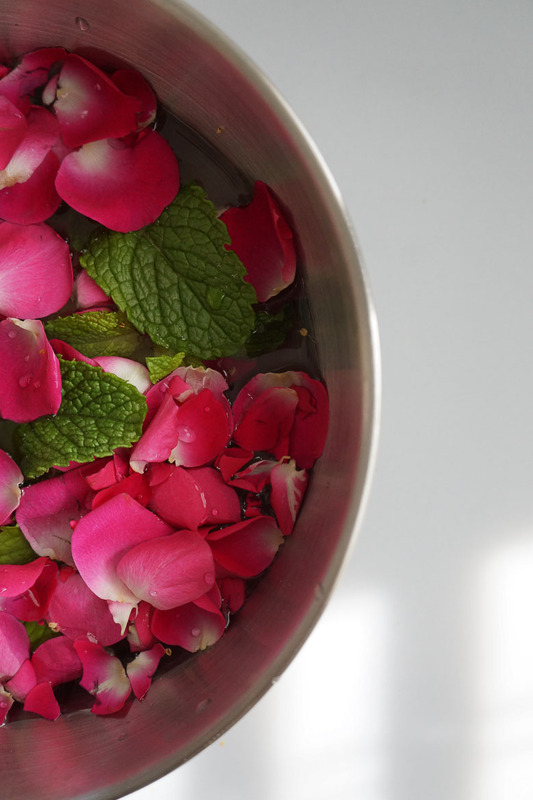 I'd love to share my rose, mint and essential oil bath that I faithfully indulge in during moon cycles, after menstruation or just when I need to relax. I love using roses during self care baths because it symbolizes love and femininity. Self care and making time to relax in a bath should become a ritual for every woman, in my opinion. Bathing in water infused with the sweetness of flowers and essential oils is a lovely way of healing and caring for yourself or another. 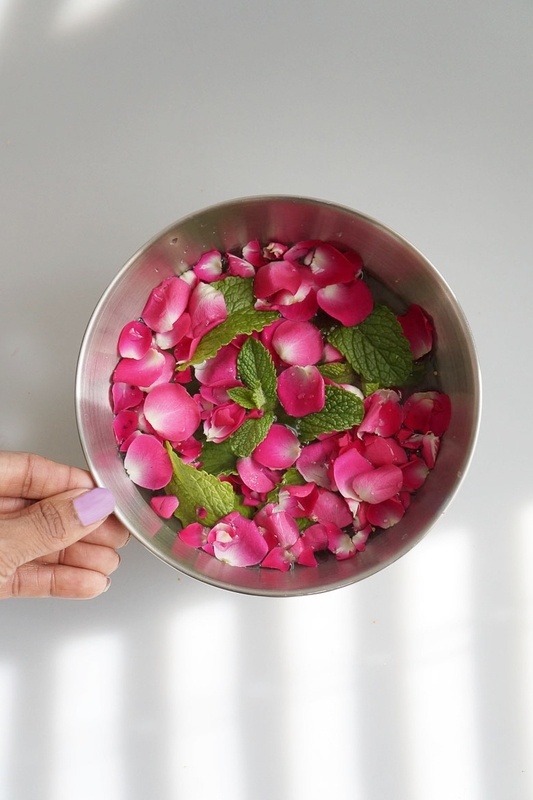 Start by pulling the rose petals from the flowers and grab mint leaves either fresh from your garden or store bought. I like to add rosewater to the bowl as an added fragrant detail. 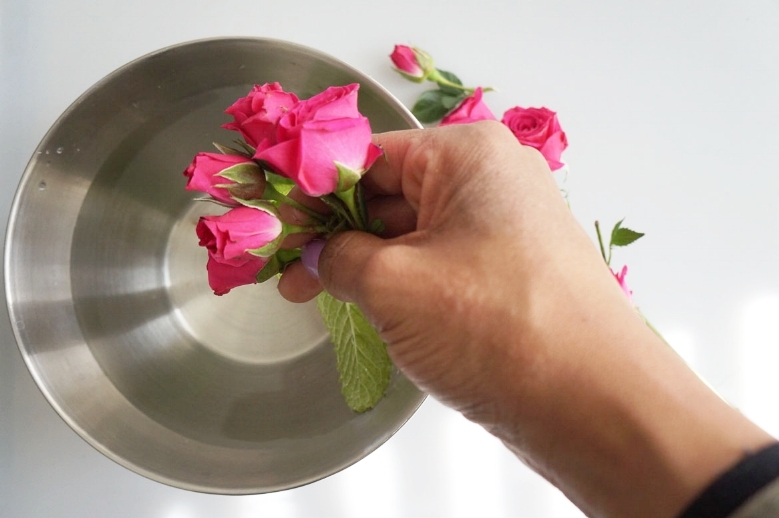 Pour water into a bowl to keep them moist. If you are doing a moon ritual, charge the flowers and mint under the moon. Next, mix about 10-15 drops of an essential oil of your choice and a carrier oil like olive or sweet almond oil. I love using lavender and chamomile for my self care baths. Add epsom salt to the oil mixture to enhance relaxation. 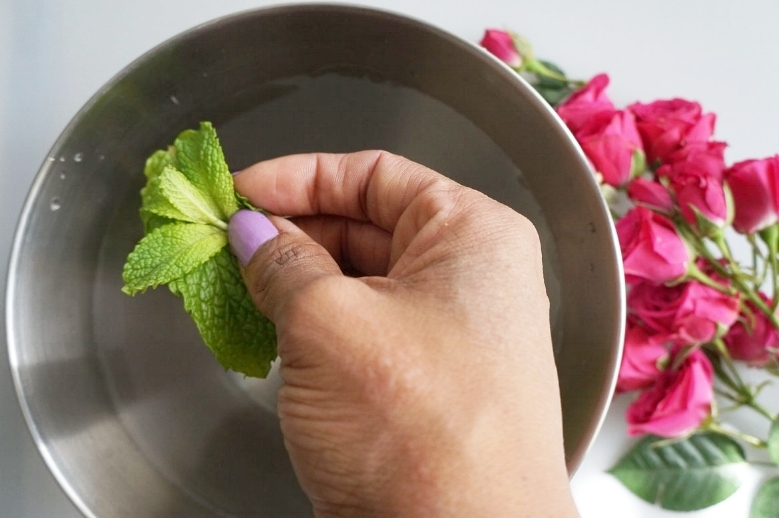 Pour the flowers and mint along with the salt and essential oil mixture into your bath water. 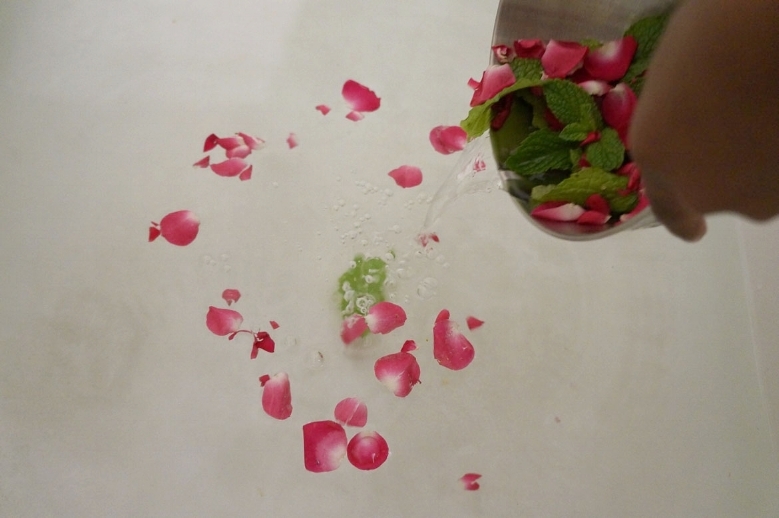 If you don't want to have the flowers and mint floating in water, you can add them into a muslin or cheesecloth. Just any other act of maintaining our health, like diet and exercise, it is so imperative that you take time out for yourself to take care of your overall wellness. I know it is hard to actually commit to taking care of yourself when you have so many others to care. A simple ritualistic habit like taking a bath aligned with the end of your menstrual cycle or moon cycles, like a full or whole moon, will help you stay in tune with your mind, body and spirit.